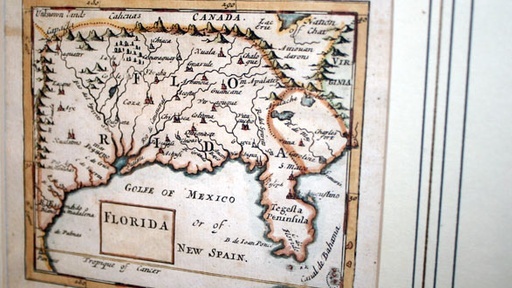 An Ocala, Florida woman owns a map of Florida that mystifies her. Her son has researched this map over the past 15 years and still cannot make sense of the towns and missions listed on the map. The labels are a mixture of French, English and Spanish. The map is small, about 4.5 inches by 3.75 inches. A pencil note along the bottom says “1681” and there appear to be engraving plate lines along the sides. 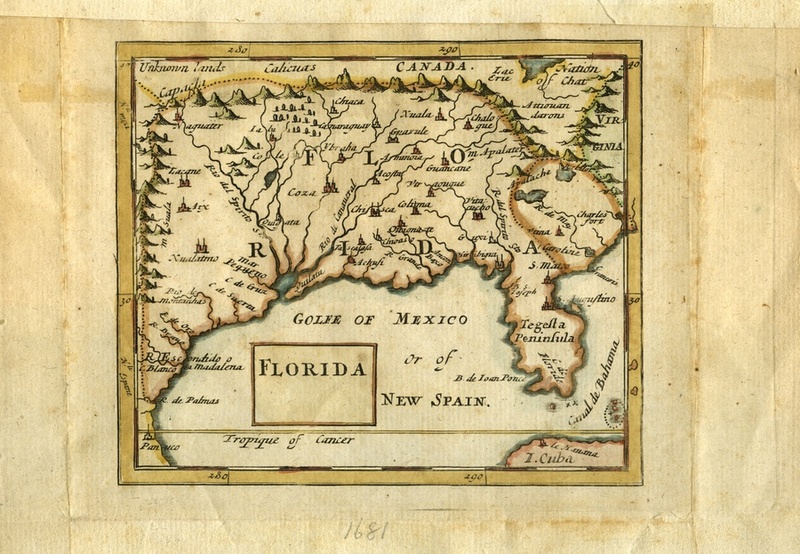 History Detectives investigates who made this map and when, and makes a discovery on the role the map played in the colonization of Florida. St Augustine, Florida and Washington D.C.
Take a closer look at the map. Also with Tukufu Zuberi Lindbergh-Sikorsky Fabric How do the signatures on this patch of fabric connect Charles Lindbergh to another first in flight? Also in this episode Marion Carpenter Camera What might this battered camera reveal about a photographer who changed the image of a U.S president? Also in Season 9 Leopold Medal What does this medal reveal about a top-secret American Military project during WWII? Also with Tukufu Zuberi 32' Ford Roadster Was this car among the popular hot rods that raced out at the dry lakes in the 1930s? Also in Season 9 Hot Town Poster What role did this striking poster play in the explosive events of 1960s America?